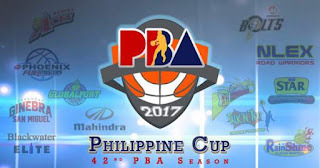 SHOW DESCRIPTION: The 2017–18 Philippine Basketball Association (PBA) Philippine Cup is be the first conference of the 2017–18 PBA season. The tournament started on December 17, 2017 and will be finished by April 2018. The tournament does not allow teams to hire foreign players or imports.